Blue Ocean Gear, a participant of the Ocean and Clean Technology Program in Nova Scotia was selected as a round one winner for the Blue Solutions Startup Challenge. The company focuses on making smart commercial fishing gear that minimizes wild life entanglements and energy savings for boat operators by providing them with real time data on catches and equipment. This benefits all the stakeholders involved such as the operators, fisheries, environmentalist, consumers and governing agencies. The technology is fairly simple and off the shelf, and has already been deployed in the industry. It works by having the gear trap cages send a signal up to the buoys that they’re full and then a signal is sent to the operators via an app. This allows for the operator to save on fuel cost by not having to blindly travel to pick up possibly empty cages. The gear also notifies operators of possible marine life entanglements so that could alert the proper rescue agencies to save the wildlife. Another feature is that the gear provides retrieval information data for lost gear which saves on lost gear costs. This is an interesting concept that has been adopted in the past for buses and light rail congestion in some cities. I’m not certain what the data suggested concerning its success or failure, but it seems like a good solution. Richard and Lawrence Lamondin started a company called EcoSystems back in 2012 and have saved their real estate clients 1.1 billions gallons of water so far. The bothers initially began the company as CondoSavers, in which they consulted condominium owners on savings solutions. Their passion for water conservation led them to focus on the water and energy saving sectors by applying retrofitting solutions on all water intensive fixtures (such as toilets, shower heads etc). Organizational Stakeholders: EcoSystem’s company employees, real estate owners and their tenants, other tenants in the retrofitted vicinity. Deploying Technology: The technology has been deployed since 2012 and saved their clients a substantial amount both on water and energy cost. I’m assuming that this technology would be used to augment the Florida canal system that is already in place. Florida’s water management authority had engineered a series of canals to control excessive water flow but mostly to divert water to necessary regions such as the South Florida region to maintain positive pressure on the Biscayne Aquifer in order to prevent salt water intrusion. Of course, the system is aging so any new technological innovations such as this could help with the necessary water flow controls. Modern off the shelf solutions implemented into a proper water management system for the regions aging water network. By locating inefficiencies such as network water leakages, the volume of water usage and waste was lowered along with the energy needed to pump the extra volumes of water. Plastic debris from bottles and other packaging isn’t the only source of pollution we face when it comes to maintaining our oceans healthy and free from plastics. The threat from plastic fibers in our clothing is just as detrimental to our oceans. Biodegradable plastics are already being used in the market for bottle manufacturing and other packaging needs. But the challenge to develop a biodegradable plastic fiber that is durable enough to use in manufacturing clothing has evaded scientist. In a Seeker article by Molly Fosco , Yiqi Yang a biological systems engineering professor from the University of Nebraska believes that he may have found to the solution. Prof. Yang has redeveloped the manufacturing process to make a more durable biodegrable fiber and has teamed up with Cargil to manufacture and develop this fiber. The collaboration effort though Natureworks will help to drastically reduce the amount of non-biodegradable plastic waste that is being dumped in our oceans and in turn affecting our food chain. I have been interested in hydorponics for some time also since I first read about Dr. Marting Schreibman’s (http://www.insideurbangreen.org/2012/01/meet-martin-schreibman-dr-of-aquaponics-at-brooklyn-college-.html) work at CUNY’s Brooklyn College. 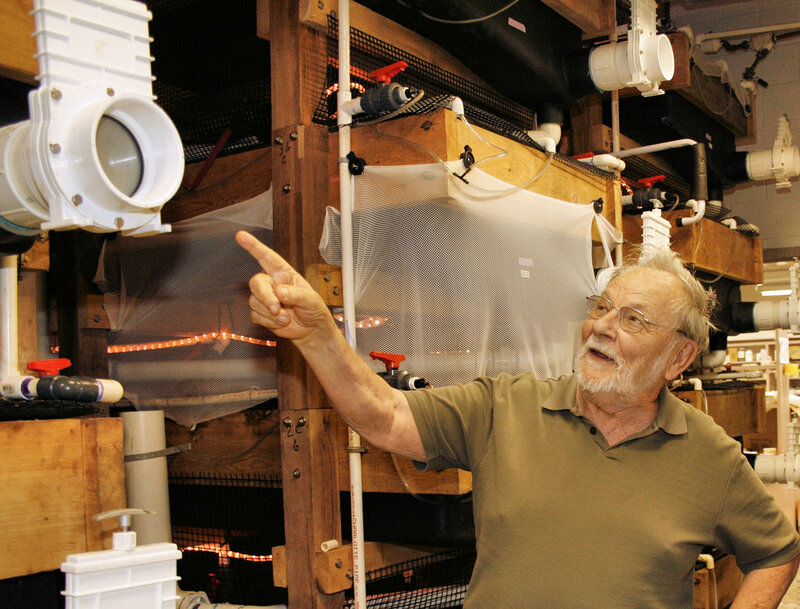 His work merges both aquaculture and hydroponics for a more sustainable process. The advancement in these technologies are vital to the food, water and energy nexus for the progression towards a sustainable process across all industries. If you ever get a chance I would enjoy talking to you about your experience in the field. Thanks. According to a Pew Trust industry report the global tuna industry is valued in the billions of dollars annually. They reported that in 2014 alone the yearly take was $42.21B, slightly higher than the 2012 take of $41.63B. With the increase in demand for the species, global fish stocks have decreased and are in danger of being depleted towards extinction. In order to keep this from happening the Japanese mariculture industry has been trying to produce enough farm raised Blue Fin Tuna to meet the growing consumer demand for the product. The challenge in achieving their goal lies in increasing the mortality rate of the farmed tuna until they’re able to be harvested. The fish feeds that are currently available in the market cannot replicate the Tuna fish’s natural diet, therefore the Tuna are unable to reach maturity and die before harvesting. A Nikkei Asian Review article reports that the Japanese company Feed One has developed a feed that could sufficiently raise the mortality level of the farmed raised Tuna towards maturity and subsequent harvesting. The Yokohama based company has labeled the feed Ambrosia and has implemented the feed into production in a joint effort with a Sukumo based farm. Although only one other company has achieved a compete farming cycle with their Tuna, Feed One hopes to complete one also by November and market their Tuna under the brand name Tunagu.